Marshalltown High School extended learning teacher Susan Fritzell was recognized for being the recipient of the Iowa Soil Conservation Teacher Award from the Iowa Soil and Water Conservation Districts. Don Meyer, transportation director, presented van bids to replace a van that has 178,095 miles and transports students to River Hills (special education school in Cedar Falls) each school day. The board approved the bid for a 2015 Dodge Grand Caravan for $22,554 from Ken Wise of Marshalltown. The older, high mileage van will now be utilized for district mail. The board approved the Voluntary Retirement Incentive Program for those looking to retire at the end of the upcoming school year. The program was approved for licensed teaching staff, 12-month secretaries and administrators. Staff must be at least 55 years old and have worked in the district for 15 years to qualify. Staff have until Feb. 1, 2016 to decide whether to participate in this program. This incentive covers insurance costs for retirees in the program until they turn 65. 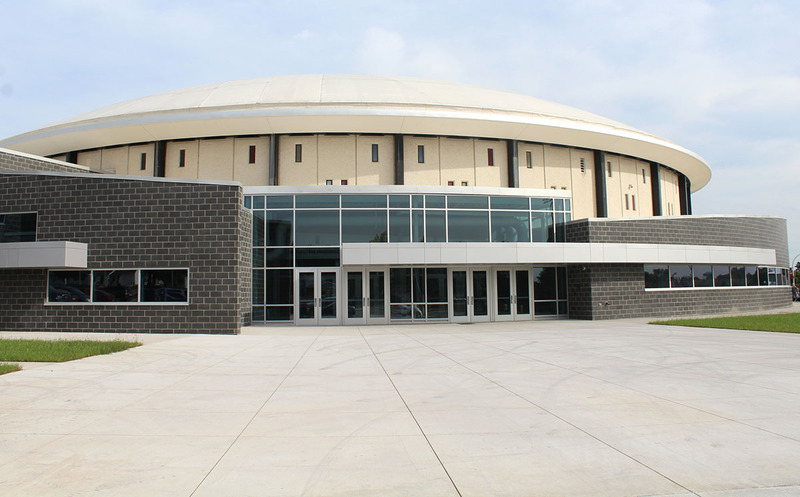 Susan Jones of CPMI (project manager) spoke on the progress of phase 1 of the Marshalltown High School Roundhouse renovation. The board approved a Certificate of Substantial Completion for many areas of the Roundhouse, including most recently the gym, girls locker room and restrooms. Work remains on the new locker rooms, site work and other portions. An open house and tours for the public will be held at the Roundhouse from 5:30 to 7 p.m. on Friday, August 21. A bigger celebration will be planned for later in the fall. Dave Schulze, district architect of TSP, presented the bid for security vestibule upgrades at Franklin, Hoglan and Woodbury elementary schools and Marshalltown Learning Academy and additional projects including a network access controls systems for based in MHS and new doors at the Support Services Center. The board approved the bid (4-2) from Hay Construction of Marshalltown for $470,500. 312.4 – Administrator Evaluation – IASB policy formatted to fit our format – Policy adopted. 414.6 – Jury Duty – Added paraeducators and transportation employees. Accepted as amended. 502.7 – Student Conduct in Extra-Curricular Activities– To come back with regulations as a first reading after a meeting held with parties involved. 505.7-E Standard Fee Waiver Application and 505.7- R Fee Waiver Procedure – No recommended changes- to mark reviewed. 601.2 – School Calendar- To be brought back to mirror IASB policy. For personnel items approved at the meeting, click here and here. The next regular meeting is Sept. 14 at 5 p.m. in district offices. Wow! School starts in only a week – where has the summer gone?!? It’s my hope that you will enjoy these last days of “summer vacation:” savor the time with family, build among your children a sense of expectation of exciting things to come in the new school year, be grateful for the opportunity to live and work in our very special community……..and remember to exercise your right to vote in the School Board election on September 8. Susan Jones and Dave Deemer from CPMI (project manager) said the majority of the Roundhouse work is completed. The new locker rooms are not expected to be complete by the start of school. The district has the certificate of occupancy for all areas of the building except for the new locker rooms. The new gym is getting some use as the Marshalltown High School volleyball camp is being held in the Roundhouse this week. Dr. Susan Pecinovsky presented the Professional Learning Schedule for the 2015-16 school year for staff. “This calendar is really a result of year-round work,” Pecinovsky said. She said this year-round work involves gathering the needs of the district as far as professional learning. To view the professional learning schedule for 2015-16, click here. 312.4 – Administrator Evaluation – Brand new policy – will come back for first reading. 904.6 – Community/Family Activities – Board member Kendall Derby presented recommended time on policy moved from 6:30 p.m. to 5:30 p.m. School personnel will talk with local group on this and get back to the board. Three board members went to an Iowa Association of School Boards training session about board meetings, building agendas and how the agendas are presented to the public. Action items and information items to be identified and include name of school personnel presenting each item. Include mission statement at top of agenda. Public comment time on non-agenda items could be moved up earlier in the meeting. Agenda items that include acronyms should be spelled out. Board/ school personnel will work to include a regulation to cover these new ideas. 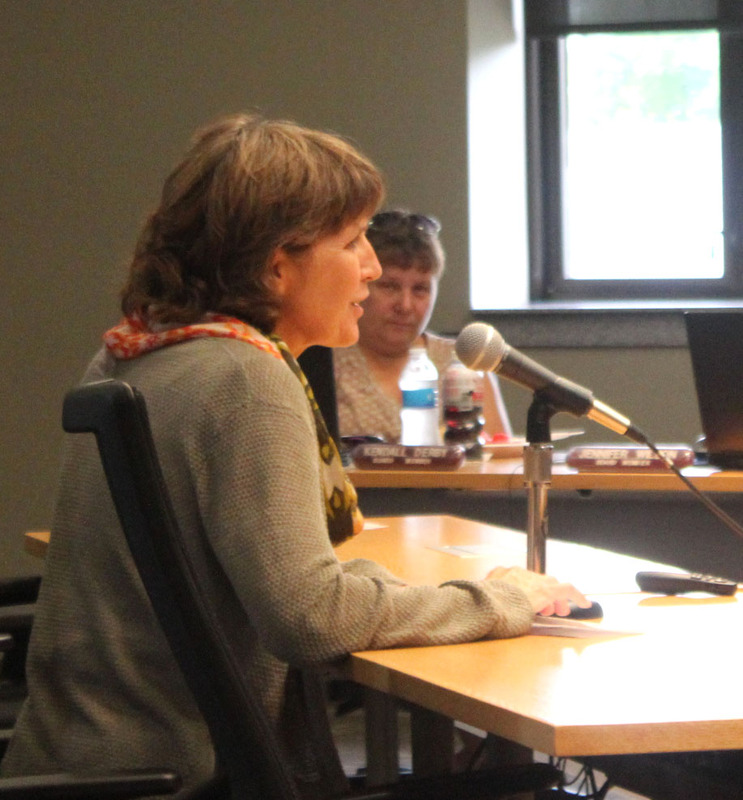 Before the end of September, the board will decide whether to offer voluntary early retirement for the following year for licensed teachers, 12-month secretaries and administrators. The board will bring this back as an agenda item under finance at next meeting (August 17) with more information on this. A reminder that another set of Parent Rallies will be held Aug. 10 and 11 from 5:30 p.m. – 7 p.m. at the Marshalltown Public Library. These rallies will have a similar format as those held in June, with a special focus this time on families from Burma. All are invited to the rallies. Anson teacher Matt Nevins said the Marshalltown Education Association will host a school board candidate forum on Saturday, August 29 at 10 a.m. in the Marshalltown Public Library. There will also be another school board candidate forum on Tuesday, September 1 at 5:30 p.m. in the Fisher Community Center. This forum will be co-sponsored by the Times-Republican, Marshalltown Regional Partnership and the Marshalltown Area Chamber of Commerce. A total of eight candidates are running for four seats on the school board in the September 8 election. Candidates include Kay Beach, Janelle Carter, Ross Harris, Sean Heitmann, John Johnson, Patrick Kouang, Anne Paullus and Ben Stansberry. The next regular meeting of the school board will be at 5 p.m. on Aug. 17.